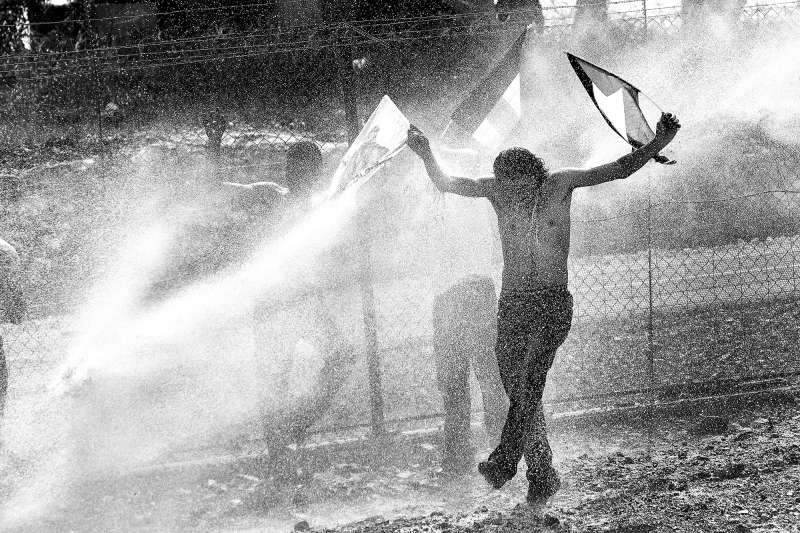 Ibrahim Burnat waves Palestinian flags defiantly while being hit with a foul-smelling chemical, that has been sprayed from an Israeli water cannon. April 1, 2011. West Bank, Palestine.